Duke, Hand signed Frogman Bronze Sculpture. Originally release in 2005, the original Duke is available again through Westover Gallery to celebrate Tim Cotterill's 2018 gallery appearance. 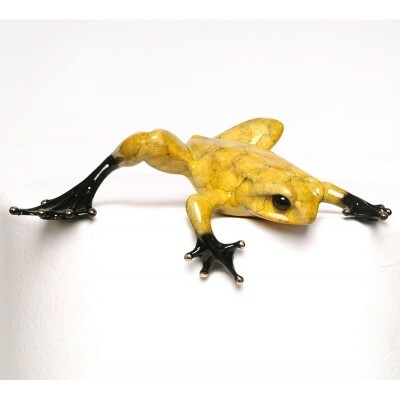 With its deep yellow patina, there's no doubt Duke is a special frog bronze. 8 x 6.5 x 3.25"